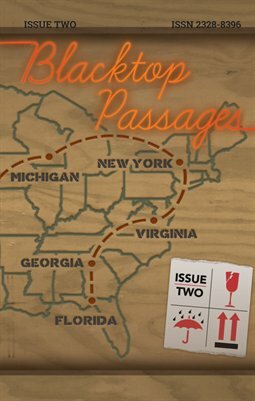 The third issue of Blacktop Passages, a literary journal of the open road. With work by Eleanor Leonne Bennett, Heather Buchanan, Melanie J. Cordova, Holly Day, Bettina Gilois, Evan Howell, Charla Allyn Hughes, Joan Robinson, M.R. Smith, William Joseph Stribling, Marc Swan, Ag Synclair, Kathleen Uttenweiller (formerly Babarsky), Jessi Walker, Guinotte Wise, and Christopher Woods.